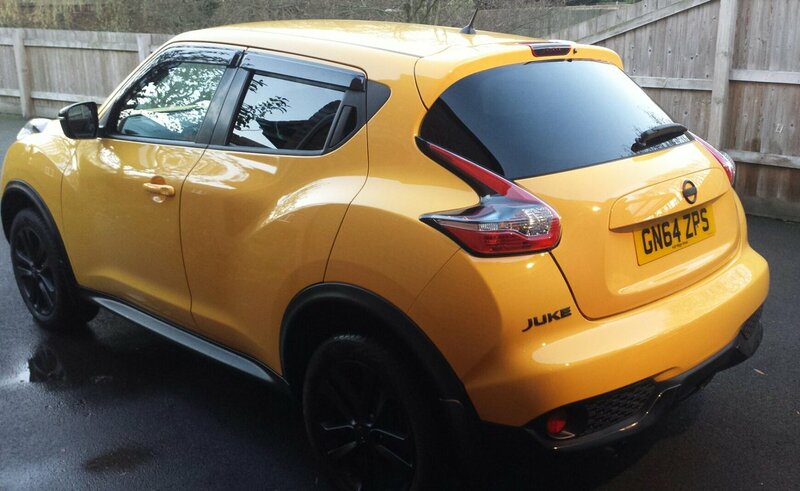 I gave the Juke a really good clean today (not a full detail unfortunately - no clay bar, etc.) but I did go over the whole car and gave it some decent wax before the winter sets in. I also put the winter wheels (with winter tyres) on and detailed the summer wheels and put them to bed in the garage. Here's a picture that looks a lot like the one above!